See a real 30 foot Minke Whale Skeleton and then test drive an electric car. 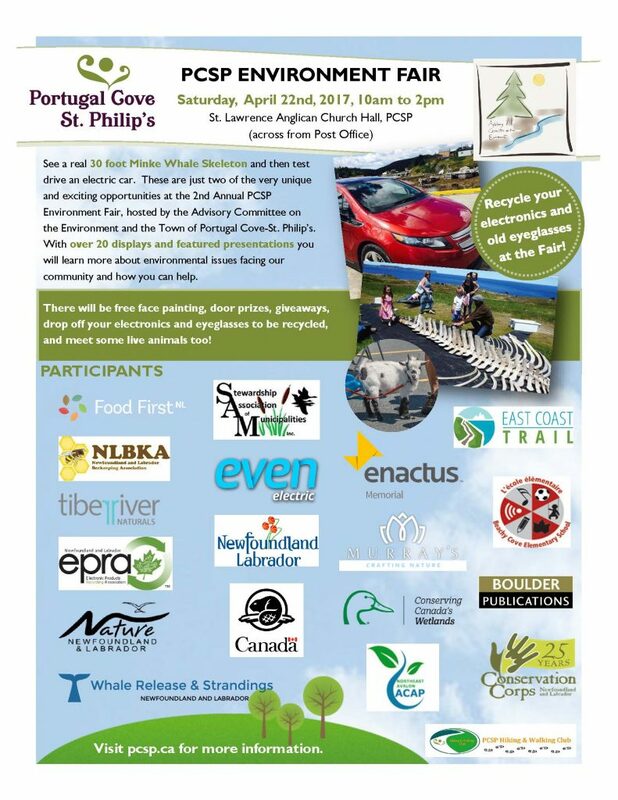 These are just two of the very unqiue and exciting opportunities at the 2nd Annual PCSP Environment Fair, hosted by the Advisory Committee on the Environment and the Town of Portugal Cove – St. Philip’s. With over 20 displays and featured presentations you will learn more about environmental issues facing our community and how you can help. There will be free face painting, door prizes, givaways, dropoff for your used electronics and eye glasses for recycling and meet some live animals too!